This Planetary Mixer equipment is to speed up the process with ease and accuracy to prepare cylindrical specimens for Marshal Stability Testing Machine. The mix is uniformly heated and mixed to yield homogenous mix and better moulds for testing. The same mixer without heating jacket and some modifications can also be used for mixing of soil, cement paste, mortars, pozzolanas etc. Electrically operated, fitted with heating jacket for thorough mixing of Bitumen. 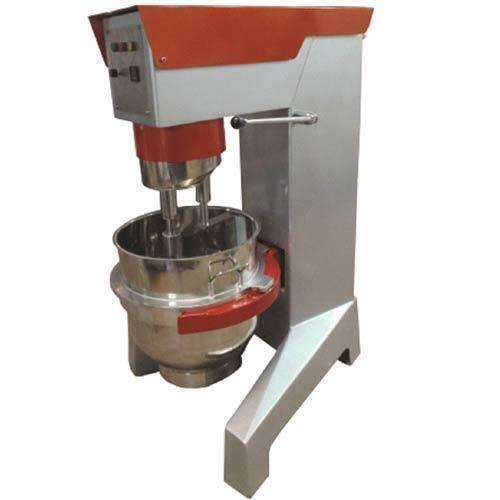 The mixer is operated by 0.5 HP single phase electric motor connected to epicyclic type stainless steel paddle to impart both planetary and revolving motion for uniform mixing. Mixer blade has low speed of 140 5 rpm and medium speed of 285 10 rpm, while it also has a planetary movement of 62 5 rpm in low range and planetary movement of 125 10 rpm in medium range. A stainless steel bowl of approx. 5 ltr capacity with handle is also supplied. The 500 Watts heating jacket with energy regulator to control the temp. is fitted below the bowl. Complete unit is supported on a strong iron frame. Suitable to work on 220V, 50 Hz, AC single phase.